Home » All Posts » How Expensive is Sydney Australia? The public transport in Sydney uses the Opal Card or a Bank Card to ‘Tap On Tap Off’. These prices were correct as of February 2019 so you may need to visit Here for up to date Prices. You do need to be aware that stamp duty is payable on all cars that you buy. A point to remember when renting in Australia is that Rental Prices are always quoted as Weekly NOT monthly as in other countries around the world. There are many Service providers in Australia with the main carrier being Telstra closely followed by Optus. I personally can recommend Boost (Please note I am not affiliated in any with Boost.au) They use the Telstra network so you get good coverage in Australia and they have some reasonable mobile packages. Again using internet search engines often give you the best prices for flights between Australian Cities. 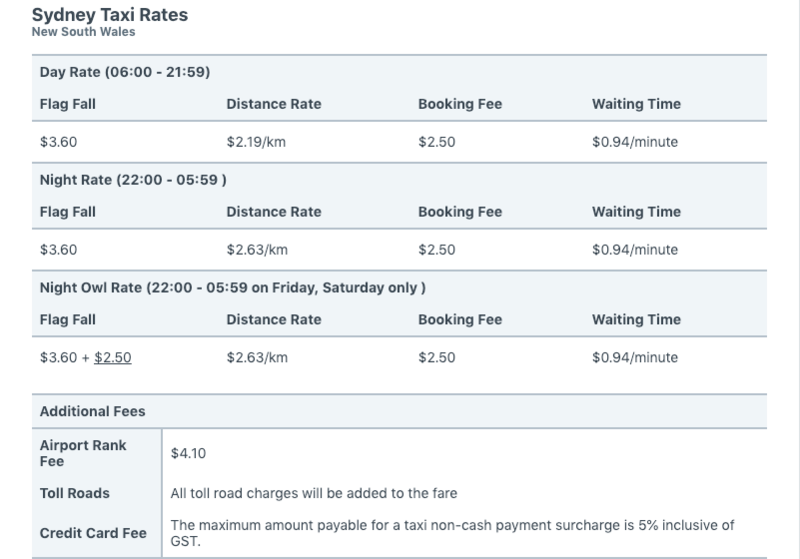 You can sometimes pick up a very cheap flight particularly if you book a month or two in advance.